A couple of nights ago, I was in Richmond-upon-Thames (on the western edge of London) for a meeting of the Richmond Amateur Regatta committee (there will be more about this regatta in a future article). 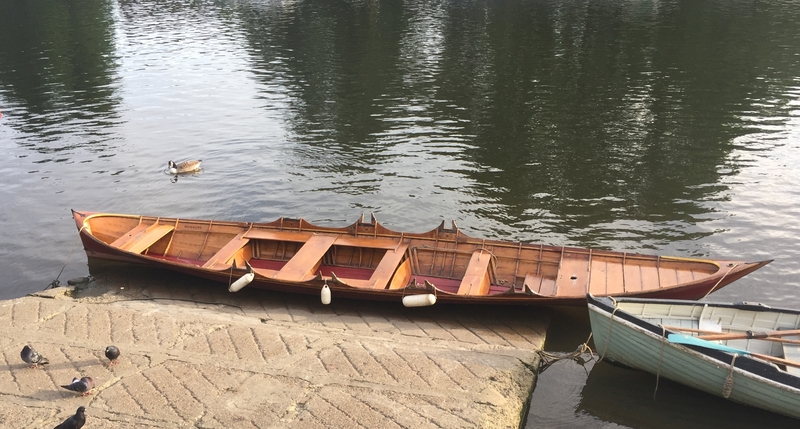 Before the meeting, I strolled down to the river and noticed a skiff moored up at the bottom of the slipway below Richmond Bridge. 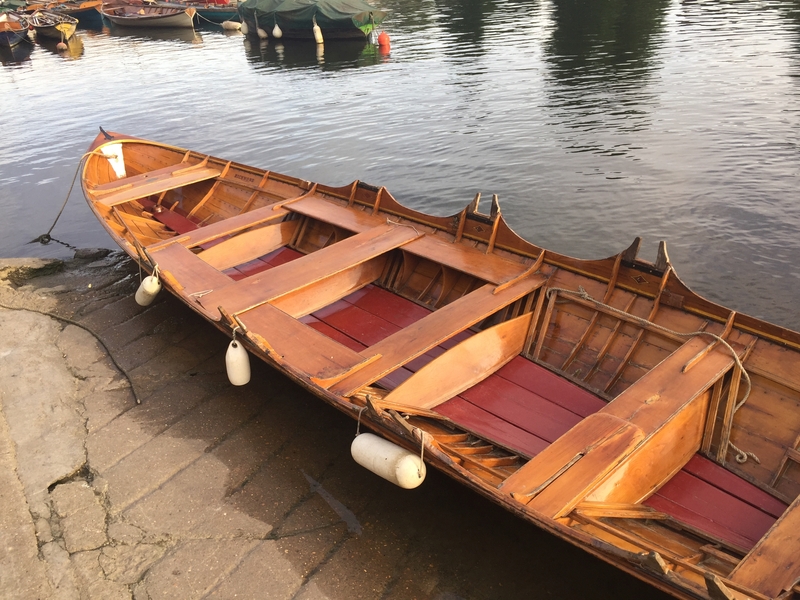 At first glance I thought it was a standard (if rather rare) triple skiff. 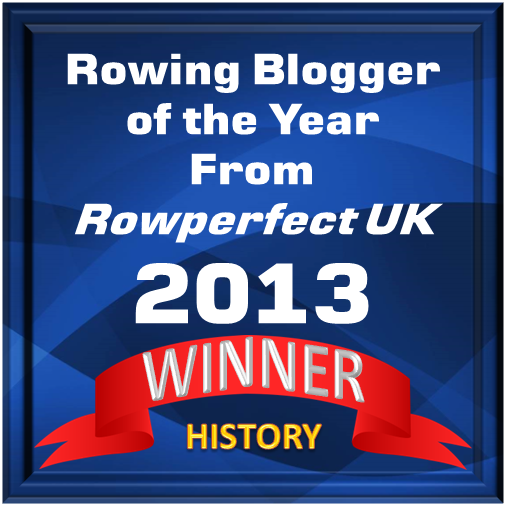 A second look made me think again: was it a quadruple skiff with a broken set of thole pins in the stroke seat? Thole pins are used on traditional rowing craft and are the predecessor to the rowlock or gate to hold the blade. Yet closer inspection revealed some oddities in the design. At the bow seat, as well as it being very far forward into the bows, there are thole pins only on the starboard side with no possibility of a matching set on the port side. They don’t appear to be broken – as they have been in the stroke seat position – you can see that that the saxboard is not shaped to accommodate them. Additionally, the clipper bow profile of this boat is quite different from the traditional spoon bow of a Thames skiff (or wherry). The wisest act would have been to find Mark Edwards or Bill Colley (see Tim Koch’s articles about Bill Colley here and here) whose workshops are nearby and ask them, but absent that do any better informed readers have some information? Is it related to a cornish pilot gig? What is the reason for the asymmetric arrangement of thole pins in the bow? I can only guess that it’s a Thames waterman cutter with broken pins at stroke? They come in many sizes, I did the London to Paris on a cutter with 6 seats, we transformed it sometines to 4…. The bits look like they could have been broken quite neatly, they don’t seem to be in one piece…Mark Edwards’ boat shed is minutes away, it may just be sitting there waiting for repairs. 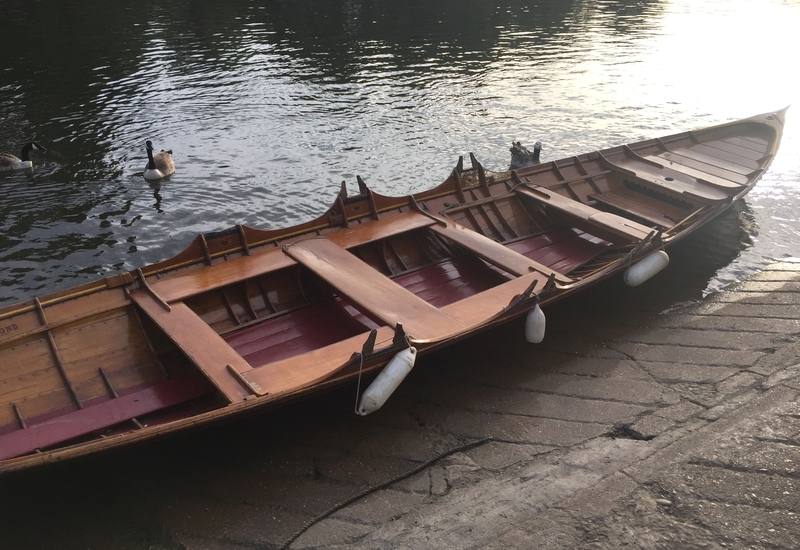 It may an unusual type of randan (nowadays mostly used only for swan upping) – normally these have sweep rowers (on opposite sides, obvs) at bow and stroke and a sculler i the middle – this one has two scullers in the middle.